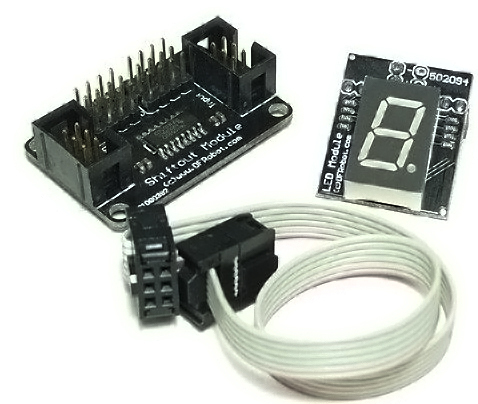 This shiftout LED Kit includes a very simple and small LED display module. It makes it possible for you to directly connect many 7-segment led modules in a chain. So you could diy a simple timer or a clock display , and many other devices that require the use of 7 segment LEDs. Get Gravity: Shiftout LED Kit from DFRobot Store or DFRobot Distributor.